In any case, to my eyes it looks good—almost like the offspring of an S1000RR and a Ducati Multistrada. The front appears more symmetrical than most of BMW’s models. 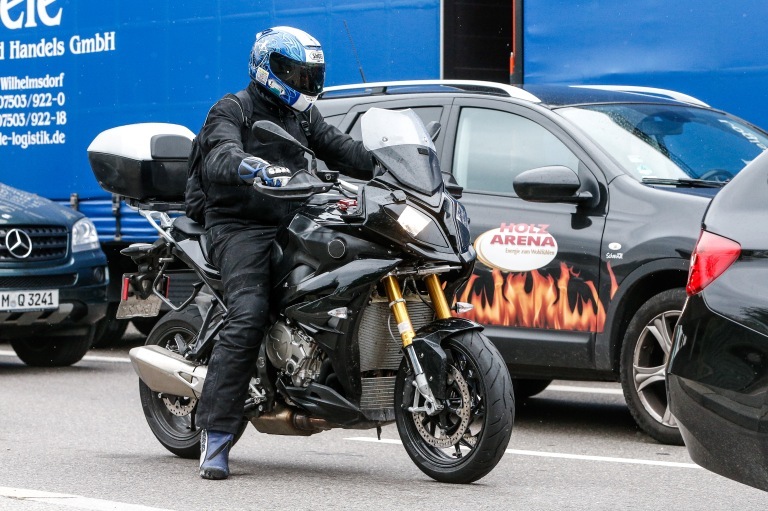 It appears to share a few components with the R1200GS, such as the mirrors and hand guards. It will be interesting to read the official press information once the model is released to get a better idea where in the market BMW intends to position this bike. I recently lamented about how all of Honda’s recent ‘adventure’ bikes were just road bikes in a fancy frock, aimed at riders who never intend to leave the tarmac. This begs the question—is BMW doing the same with this bike? 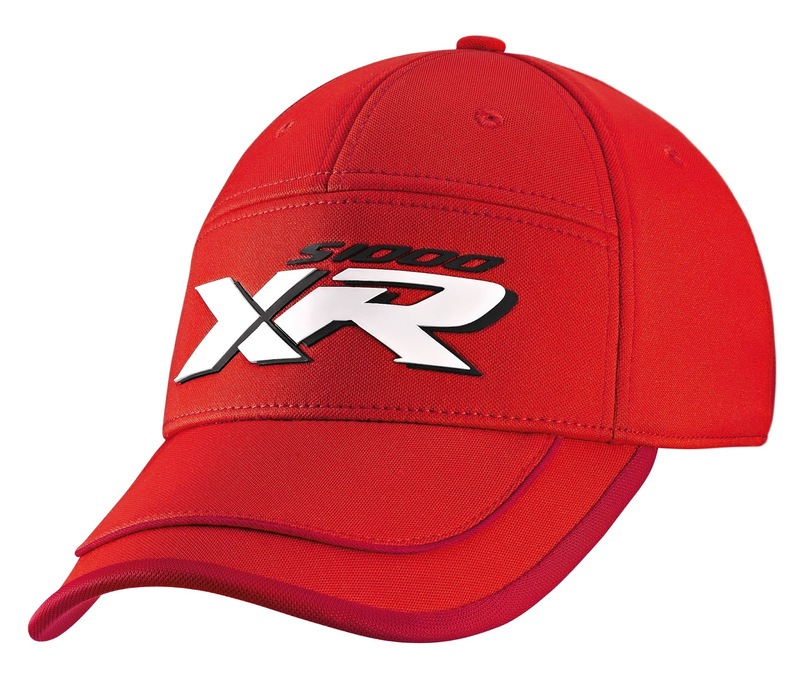 A reader of my blog Eric from Facebook has emailed to note that the Italian BMW Group PressClub website shows a baseball cap, t-shirt and keyring specifically branded ‘S1000XR’. See the end of the article for photos. 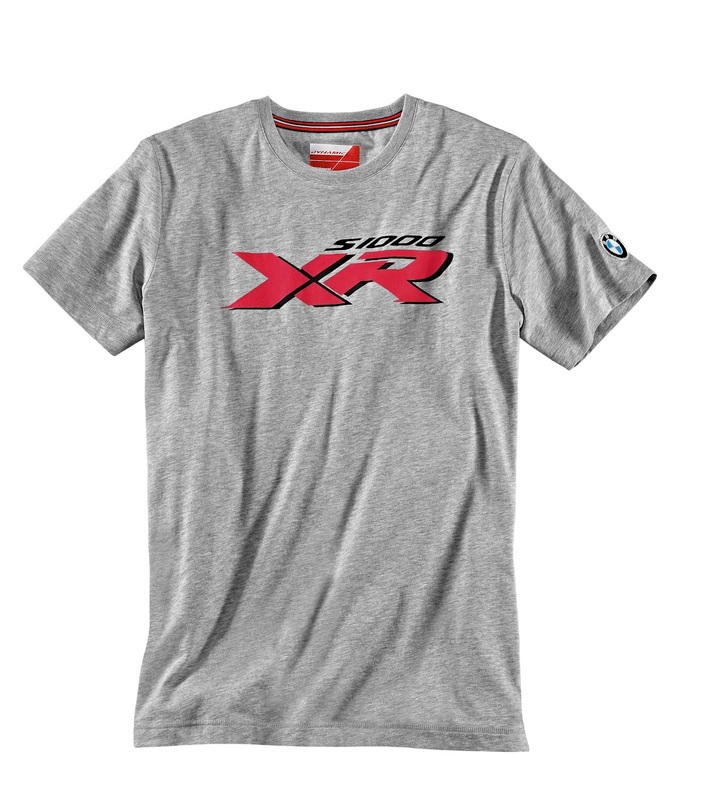 The S1000XR is rumoured to be a competitor to the Ducati Multistrada as a high powered road biased dual sport bike—and to a lesser extent the KTM 1290 Super Adventure in terms of power. 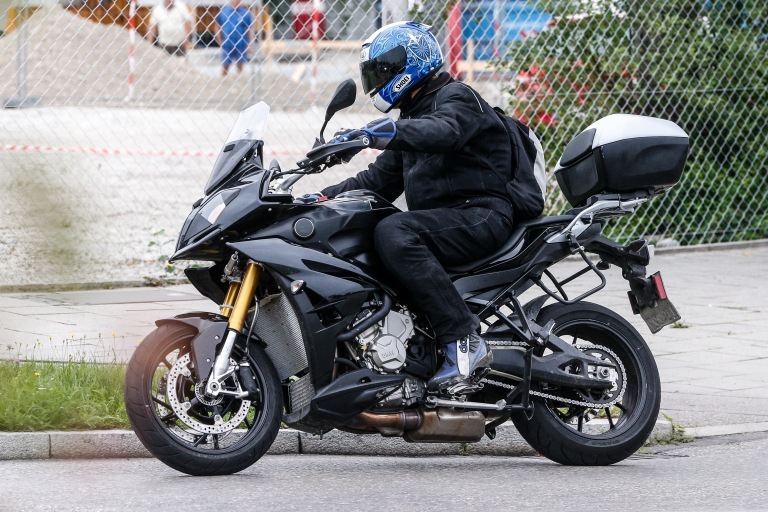 A test mule has been photographed in Germany but, as with the R1200GS mules, this may or may not reflect how the production model will look. 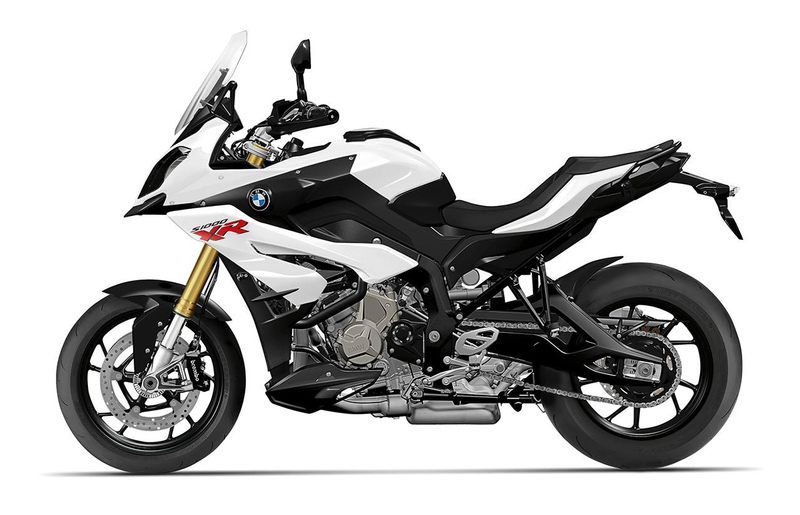 It would be safe to assume the new model will run standard road wheel sizes of 17” front/rear, unlike the GS range (19” or 21” front, 17” rear)—and a version of the 4 cylinder engine from the S1000R/RR, possibly retuned for less power and more torque. 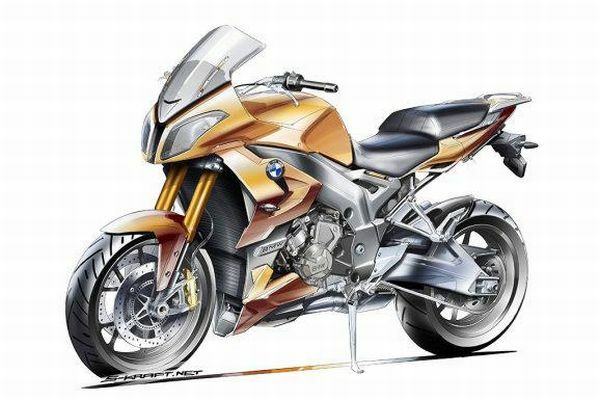 Below is German magazine Motorrad’s artist conception of how the model could look. 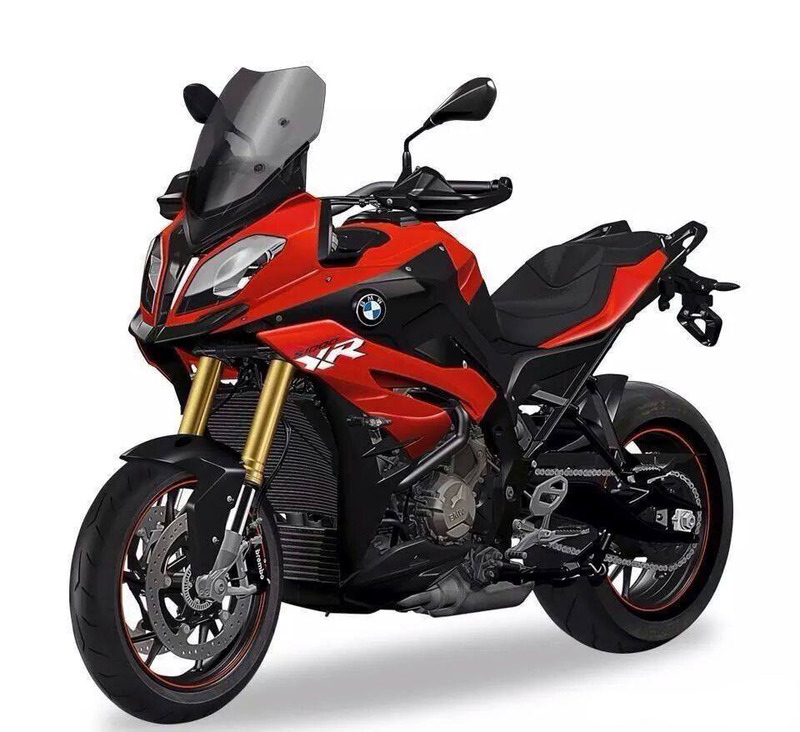 What is interesting is that the bike doesn’t fit within any of BMW’s current categories as it seems to fit directly between the Sport and Enduro ranges—and this is reflected by BMW’s inadvertent (?) 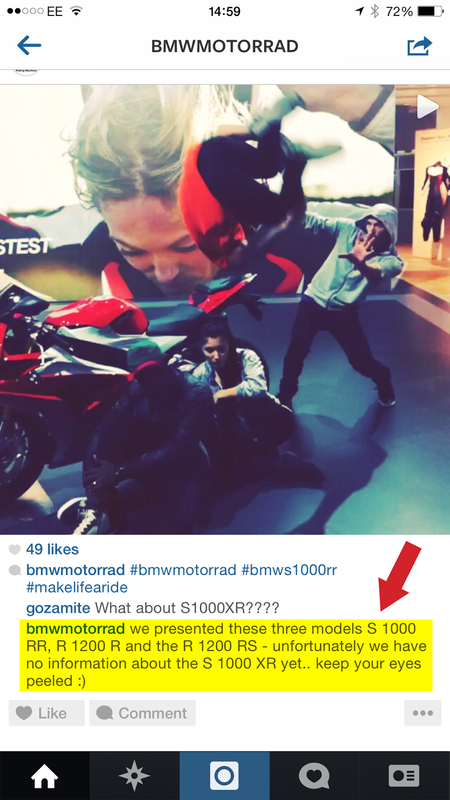 confirmation that the bike should be called the S1000XR (and not S1000GS etc). 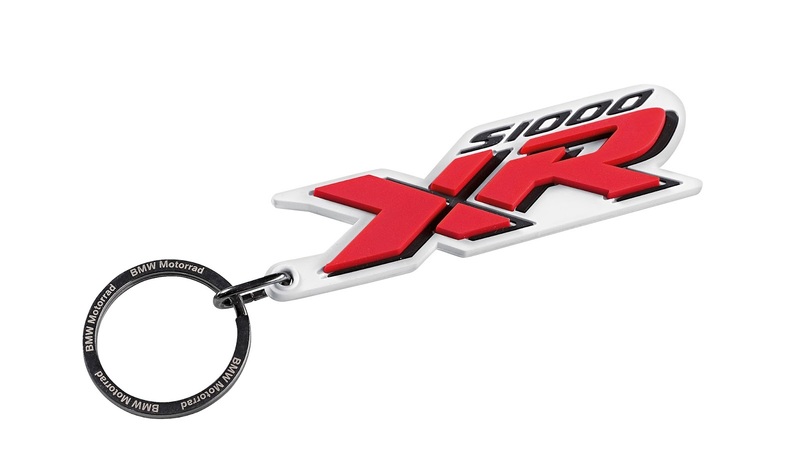 Probably a good move as the GS community would likely be up in arms at the thought of a bike completely unsuitable for off road riding being marketed within the GS range.